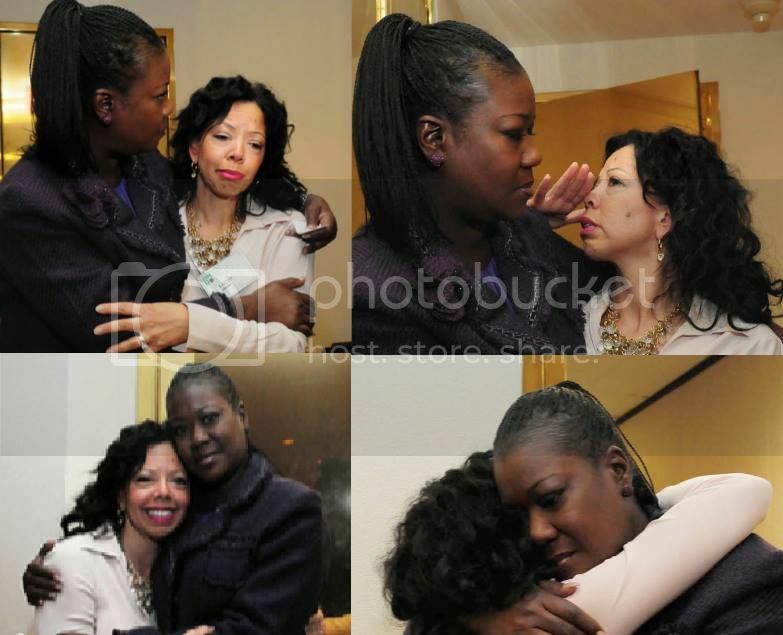 I looked at the face of Lucia McBath, Jordan Davis's mother, and I see the legacy of pain. Etched deep in her face is the pain born of mourning her child and countless other children from generations before her and from generations to come. I look at her face and I see a resolve to find a way to "carry" on while "carrying" on the burden, the fatigue of this war we endure on a day-to-day basis. Make no mistake in deed we are at war. This is a war where some of us fight to be recognized as human. This is a war where the opponent demands us to be kind and loving in the face of the racist/sexist/classist drones they drop on us on a daily basis. This is a war waged by racist zealots and “liberals” alike who tell us either to stop talking about race or that racism is not so bad as it was in the past—after all we are making progress. I look at Ms. McBath’s face and I see the faces of countless women merged together in the wrinkles and lines of racism, the scars caused by sexism. Hers is the face of African women stolen from the shores of Africa. Hers is the face of the enslaved Black woman who watches as her child is sold in front of her face. Hers is the face of the Black woman who is brutally raped but must listen to the master preach from the “holy book.” Hers is a face of the college student who sits as the professor ask her to explain what’s its like to be on welfare. Hers is the face of that Black woman who is passed over for a promotion not because she lacks the necessary credentials but because she is simultaneously Black and a woman. Hers is a face of mothers who bury their children; children who die as a result of racism, sexism, classism and homophobia. The bullets have been piercing our hearts for generations. The “masters” of oppression etch these women on her face. I am talking not simply of the oppression that comes from race or gender alone. It is the oppression that results from being both at the same time. The colors bleed into each other and become recognizable only to those who choose to look at her--to look at her with honesty, dignity and respect. Some refuse to see these scars, because to see them means that we must recognize our complicity in scarring this woman. Some refuse to see her because the festering wounds call for attention and they don't know what to do, so they choose to do nothing. I look in Ms. McBath’s face and I see my life and the future life of my child and her child and generations to come. We are part of the tribe that must endure this pain while we continually fight against it. Ms. McBath, your pain is now carved into my face. I am marked as a member of your tribe. I understand your language. We will see each other and humbly, even if secretly, salute each other. But at some point the lines around our mouths will cry out and resist. The lashes imparted will only be imparted on the scabs, and we will turn around. WE WILL TURN AROUND and that history that has been marked on our faces will give us victory--the victory to be seen as human. Julia Jordan-Zachery has a Ph.D. in Political Science and a MA and BA in Economics. She is the author of "Black Women, Cultural Images and Social Policy."